Mowing head AutoCut 25-2 KombiTool. Ideal for mowing and tidying along walls, fences, hedges and paths. 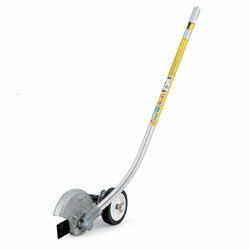 Curved Lawn Edger KombiToolFor a neat line on lawn edges along paths and drives. PowerSweep KombiTool with guard. 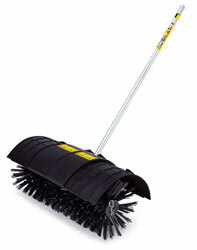 For sweeping dirt, debris, leaves and lots more.Approved for all KombiMotors with loop handle (R). Bristle Brush KombiTool. 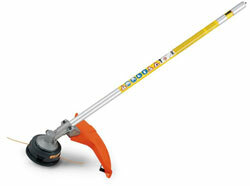 Thoroughly cleans coarse dirt or caked earth from paved areas and uneven natural stone floors. 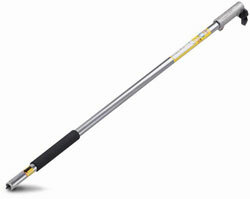 Approved for all KombiMotors with loop handle (R). Mini-Cultivator KombiTool. The Mini-Cultivator makes easy work of breaking up even hard or heavy loamy soils. 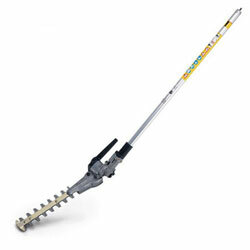 Ideal for recultivating, loosening soil or space-saving planting. Approved for all KombiMotors. KombiTool Power Scythe, with incrementally adjustable cutter bar. 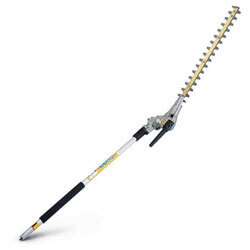 For cutting grass, scrub or ground cover. The operating method prevents stones or cuttings being thrown up. Approved for all KombiMotors. 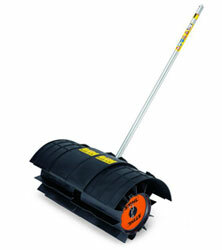 With its low weight and powerful blowing action, it makes quick and easy work of removing leaves and grass cuttings from paths and patios. Approved for all KombiMotors with loop handle (R). 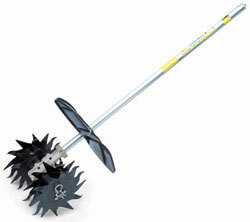 For tending fruit trees and thinning undergrowth. You can work in comfort with your feet firmly on the ground. Approved for all KombiMotors with loop handle (R).